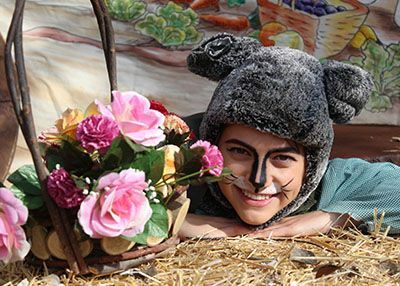 Based on Beatrix Potter`s delightful tale of Tom Kitten this beautiful story aimed at the younger child is about bravery, manners and being a good sibling. Tom Kitten is always in trouble and he just can`t help himself, but in the end he turns out to be a brave, good boy with delightful manners. A MUST-SEE FOR THE YOUNGER CHILD. Children 1 year and under admitted free of charge. Caitlyn Mollett; Emma Mollett; Megan Jansen Van Rensburg; Danielle Joubert; Kerry-Ann Jones; Catherine Pascoe; Juliette Pascoe. Venue is flat and wheelchairs can be accommodated, but there are no specific toilet or parking facilities for disabled patrons. Alcohol, own food and drinks, photographic equipment and smoking.